The Chromebook victory over Macs comes with a few caveats. It may have taken nearly five years, but it’s finally official: Chromebooks are no joke. More Google-powered laptops shipped than Macs in the U.S. during the first three months of 2016, IDC market analyst Linn Huang recently told The Verge. (Disclosure: IDC and PCWorld are both owned by International Data Group, but have no editorial ties.) 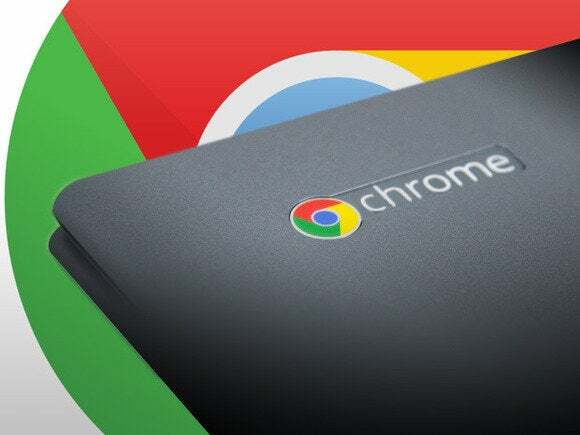 This is the first time Chromebooks have out-shipped a competing PC platform. Chromebooks beating Macs may be a surprising statistic, but in reality, it’s just that—a statistic. It’s unlikely that Chromebooks are about to become the second most important PC platform in the United States, because this first Chromebook victory comes with two big caveats. Apple’s earnings during the first three months of 2016 (the company’s second quarter of the year) were weak. Mac sales fell by 9 percent worldwide compared to the year previous. If Mac sales continue to decline, Chromebooks may beat out OS X-powered machines in future quarters as well, but that’s not a bet I’d put money on anytime soon. Chromebooks have been carving out a big niche in schools for several years, which is why we see computer makers catering to education and business use cases with devices like Dell’s Chromebook 11 for Education, Chromebits, and Acer’s new Chromebase. Nevertheless, the slow-burn growth of Chromebooks is something that has to concern Microsoft, much more so than Apple, which focuses on selling high-end PCs. There’s little chance that Chromebooks like the Pixel will overtake the premium laptop market, but the low-end market is another story. Chromebooks are simple to use and provide the basics that students need, such as a browser for online research and a productivity suite (in web app form). They're also getting cheaper and may only become more popular if Android apps land on the platform, as expected. Windows 10 laptops, meanwhile, are comparatively complex and prone to more problems than Google-powered laptops. A low-powered Windows PC can often be slower than a low-powered Chromebook. That simplicity in software and support alike make Chromebooks inherently more compelling for large educational deployments. That said, Chromebooks have a long way to go before they will actually challenge Windows machines. Selling in bulk to the education market is one thing, but appealing to the tastes and desires of individual consumers is an entirely different game. So far, Chromebooks haven't had much success with consumers, and it’s anybody’s guess if they ever will.